Here are 10 things you should do when you are house sitting. 1. Know the house rules. Living in someone else's house means that you need to ask the house rules from the home owner. For example, should you be using the air-con or not?, Is the dog allowed on the couch? etc. 2. WI-FI password to stay connected . 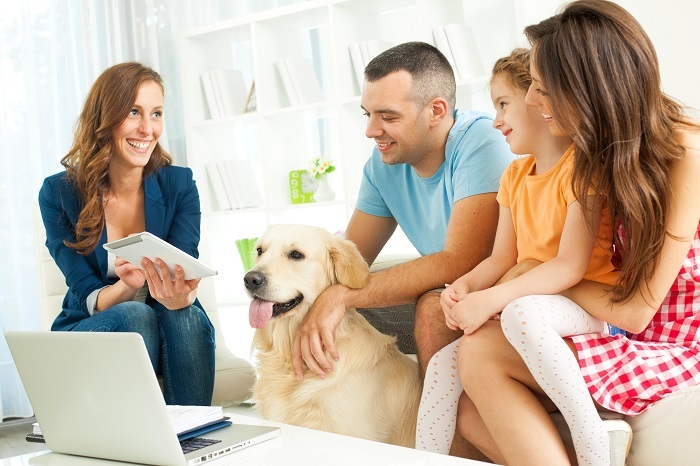 Make sure that the owner gives you the wifi password, so that you can stay connected and send them updates about their pet. Do not use this as an opportunity to download files! 3. Be organised. This is not your personal bedroom and you should make sure you keep everything organised. Choose a room/corner in the house to keep all your stuff. 4. Emergency contact. Keep emergency contacts saved on your phone or stuck on the fridge. You should always ask ask for the vet's number and a friends mobile number. 5. Lock every door and window whilst you are absent from the property. EVEN IF THE OWNERS USUALLY DON’T. 6. Stock up food you have eaten. You saw a box of ferrero rocher and you couldn't resist the temptation? It's okay as long as you replace it. 7. Daily Check list. Have a to-do list everyday so that you don't forget to water the plants, feed the dog, feed the fish etc. 9. Make your bed. Make sure you make the bed and change the sheets before you leave. 10. Surprise the owner with a welcome gift. Flowers, cookies or a card. Make sure you leave something for the owner to make it memorable booking! 1. Don't have a house party. Respect the house rules and don't try to take advantage of the space. 2. Don’t mess with the gadgets. The last thing you want to do is ruin the surround system or the expensive food processor. 3. Don’t try to become an interior decorator. The house should be left the way the owner left it. 4. Don’t offer to do more than what you have agreed. Changing a lightbulb or tightening a tap connector is not your job. 5. Don’t spill anything on the carpet. Cleaning a carpet can cost a lot of money and the last thing you would want is to spill a bit of food on the carpet. 6. Don’t stat wine tasting. You can book a trip to Barossa Valley or get your favourite bottle from Dan Murphy's but don't raid the alcohol at the owners place. 7. Don’t invade privacy. Always be respectful of the homeowner’s personal belongings and property. 8. Don’t make long distance calls from their landline. Since most house sitters have mobile phones, this is rarely a problem. 9. Don’t leave the house in a mess. Make it a point to do a quick tidy up before leaving the premises. No owner would like their place looking like a pig sty. 10. Don’t neglect your duties. It may sometimes feel like a holiday but it's not as you are getting paid for it. Complete all house sitting tasks as agreed upon. House sitters can earn up to $50 - $60 a night and get long bookings. 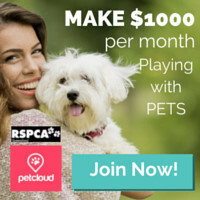 So get ready to make money cuddling pets on PetCloud. Just create a listing, verify your account and you'll be able to apply or accept house sitting jobs.